Order by phone at 818-241-6492 or via email at serendipitycupcakes@hotmail.com. Gluten-free and Vegan/Non Dairy Cupcakes are now available! Serendipity Cupcakes are hand-delivered to customers in the Los Angeles area. As a special courtesy to our neighbors, I offer FREE hand-delivery service to customers in Glendale, La Canada, Pasadena, and Burbank. If you are outside those areas, a small delivery fee may apply. Don’t live in Los Angeles? No problem! 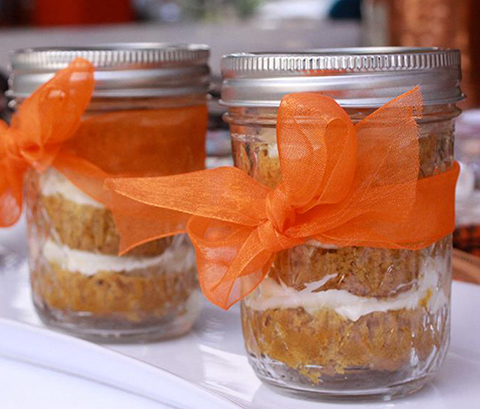 Cupcake shooters and Cupcakes in a Jar are available for shipping, so you can satisfy that Serendipity craving no matter where you are. Please allow 48 to 72 hours to fulfill your order. Special event orders should be placed a minimum of one week in advance of the event. If you are planning a themed event and are interested in personalized decorations or flavors, just ask! Feeling creative? Feel free to mix and match frostings and cakes to your heart’s content!